In support of the EPI National Summit, please come and network with professionals both from the Nashville area and over 200 Advisors nationally. This will also give you an opportunity to network with EPI National Team from Cleveland, Ohio. 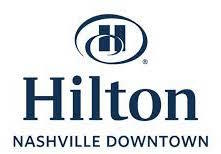 This meeting will be held at the Hilton Nashville Downtown. Explore this year’s Exit Planning Summit.